Congrats to the published authors! The books look great! 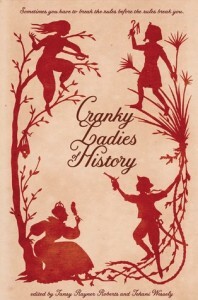 But I’ve been slack and not read my copy of Cranky Ladies yet. Both books sound rad! Congrats!!! Both books sound rad! Congrats!!!! I can’t wait to read Companion Piece! !